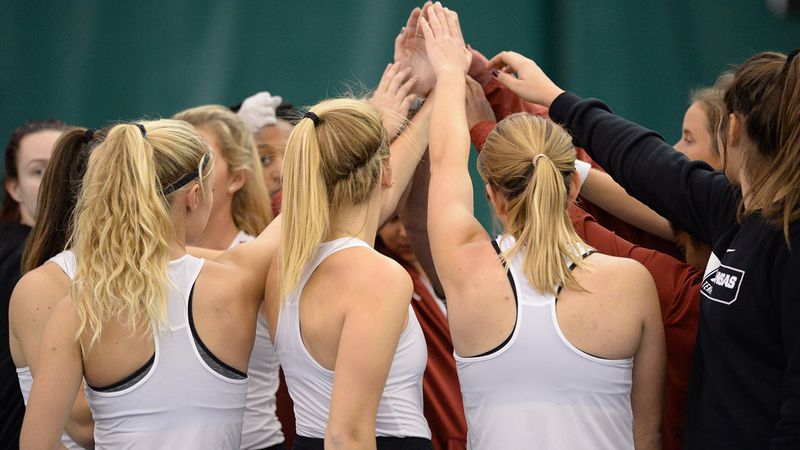 TULSA, Okla.- The Arkansas women’s tennis team dropped its second match of the season, falling 4-1 at Tulsa Saturday afternoon. The Razorbacks dropped the doubles point in straight sets, with Tulsa clinching the point at the No. 2 position. Tulsa went up 2-0 at the No. 6 position, as Shwetha Prabakar fell 6-1, 6-2 to Marina Davtyan. The Golden Hurricane got within one as Lauren Alter fell 6-1, 6-4, before No. 78 Tatum Rice earned Arkansas’ lone point of the match with a 6-1, 2-6, 6-2 third-set victory. Freshman Miruna Tudor dropped her match 7-5, 6-3 at the No. 6 position, clinching the match for Tulsa. Play on the final two courts was suspended due to the clinch. The Hogs will return to the court next weekend at Loyola Marymount in Los Angeles.